The official english name for Nagisa in the dub of Pretty Cure is "Natalie". FYI. I'm just going to go out and say use the original form. It can't be as exotic as some of the Jewish names, like Ruth or Esther, and Na-Gi-Sa is a pretty easy name to pronounce. But yeah, I don't see the problem. If your child asks you where their name came from later on, you can be honest and tell them, but also disclose what it means. It's much cooler to have a name with meaning as opposed to one that's just..."Oh, he looks like a Jim to me" or something like that. Plus it's a really cute name. Fuko is a much better name. Dont do it!!! SHE WILL BE WEAK AND DIE AT THE AGE OF 18!!! Leaving her husband behind!! And no flashy lights will bring her back to life!!! Hey now, let's not make any taboos here- we want a nice, healthy baby. 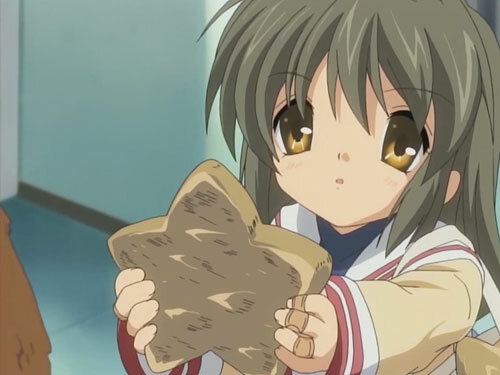 I would reconsider, the name Nagisa has an origin other than "ooh but she is a cute animated character from a series" that is of far greater meaning than a kawaii~ughuu face. Besides the written character is important as well as to what it means and westerners never do this. And there a far better fictional characters out there than the monstrous drawn Clannad characters. Used to know a muscular, African-American fellow. I think Nagisa will be fine. We've got a patient named BROKEN. North America and pretty much the western world has been influenced by many different culture, so I don't see a problem in naming your kid Nagisa. As long as you know the meaning behind it is fine. Fun fact NaGISA is also the project name for the field work in recording, or cataloging, biodiversity for the Cenus of Marine Life. Last edited by Sides; 2011-11-01 at 08:16. The middle name option seems the best to me. From what I've heard, exotic first names often seem fun at the time, but result in all kinds of pain and annoyance as time goes on. For instance she'll probably continuously have teachers mispronounce her name, or whenever she goes for a job interview she's always assumed to be asian, and then she has to continuously explain it etc. I've managed to acquire an American accent from my mom, that's annoying enough to explain. Having to explain something over and over again to people is quite dull. So I'd take a typical first name, and use Nagisa as a middle name. For a bonus you can use it as a nickname for her, you can have your cake and eat it. I subscribe to DonQuigleone's view. However, for the sake of the child I will be more blunt. I don't want to sound racist, but in the job market your name is better be consistent with your lineage/looks. This may not actually apply for the creative jobs but for the normal ones. I did not make these rules. Well, its your responsibility to do the best you can for your child and it's future. So, unless you see your child as your personal entertainment, be careful not to confuse your own desires over the child's (future) needs and decide carefully. I'm joining in on the "side" of recommending that if you do name your child Nagisa you do it as a middle name. That way you get to keep your original idea of calling the child Nagisa, you get to use that name around the house easily and she won't have to face as much embarrassing situations in life due to her name. Also (and more in jest): are you sure? Don't you think it's a bit risky? It's not every day you get a son-in-law that just so happens to be such a good guy that miracles are given to him. You might as well name her Shaniqua or Almirah or Chicomecoatl or a name from some other random culture if you're going to go that route. Otherwise, as someone else said, your kid is just going to have a weird name because her parents are a little too into anime. Look. My roommate's name is Lee (Lee!) and every day he regrets it. It's too complicated to explain, so just know that because his parents didn't think first, he got a NORMAL name and it still haunts him to this day. Imagine if he was named Akira or Devery or something. If you absolutely have to name your kid something foreign, make it the middle name. That's the best I can say for you. Look. My roommate's name is Lee (Lee!) and every day he regrets it. How is that a problem? That was a pretty frequent personal name (although it was back during the 1890s for boys and 1950s for girls). I know far too many American citizens with japanese first names (or other cultural first names) to worry about it. Just avoid names that are easily mangled to cruel taunts (which is impossible if you think about it). Hawaiian residents often have quite colorful names that have nada to do with their skin pigment, hair color, or looks. The same with people who can legitimately check the Native American box... many mixed race folks have names that don't fit stereotypes, and so on. However, you only said you were a "north american couple" -- frankly that doesn't tell us ANYTHING (other than possibly you've made the usual northamerican=white faux pas). Last edited by Vexx; 2011-11-01 at 12:38. I don't think Nagisa rolls off a western tongue that great. Heads would turn everytime you called it. Think you should just go with something cookie cutter instead. I am 100% sure that Lee is an english name. It is a pretty common english surname. The only thing I can think off is Lee jeans, i reckon you can pulls some jokes with that. Or Lee Enfield. Nagisa doesn't really flow naturally for English speakers imo. It's a lovely name, but a lot of people will undoubtedly mispronounce it, etc.